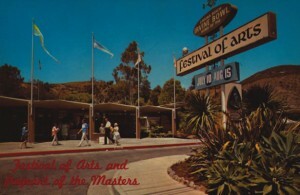 It was around 1982, and the Festival of Arts was 50 years old and going strong. A creative lot in their work and lifestyles, the returning artists were disciplined in trying to earn a living while chafing under rules and averse to hierarchy. They enjoyed the summer crowds, each other and, at the drop of a brush or chisel, a good party. 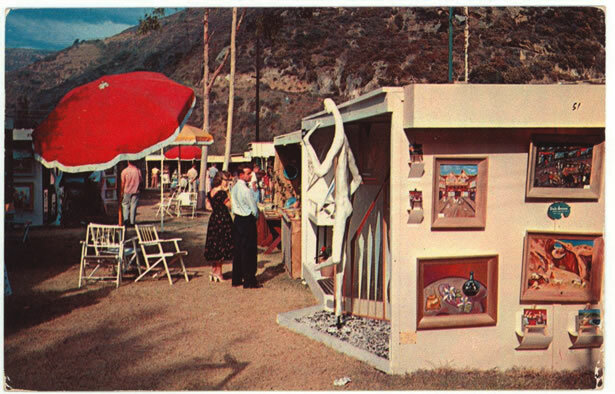 And, even though there was the competing Sawdust Art Festival right across Laguna Canyon, 287 steps exactly, John Barber says quite of few of his peers showed at both venues for a time, and good vibes between the “establishment” and the erstwhile “rejects” prevailed. It was during that summer’s closing days when painter Ken Auster and a few friends tossed back some beers and good-natured barbs about who’d done what when another exhibitor, whom Auster is hard-pressed to remember, came around with freshly baked cookies. The pals dug in and in a fairly short time felt really weird, something they attributed to the prodigious amounts of beer consumed. Ken continues the story as such: “I got into my car and, at a stop sign, I stopped behind a car that I thought was going to make a right turn. Half an hour later I still sat there,” recalling how he had stationed himself behind a parked car. Figuring that he might be drunk, he tried to walk home, but, concerned about his buddies, went back to the festival. Finding no trace of them, he checked at the Sawdust Art Festival where he found them laying in fetal positions. “It was the damn cookies,” he recalls. “Up to this day, I have no idea what was in them.” Grass? Hallucinogens? Hash? If he’d known, he wouldn’t have partook. “No way, didn’t touch the stuff. I lived in Hawaii in the ’60s and did my ‘due diligence’ then,” he explains. 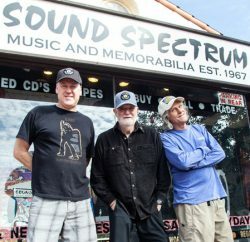 The year 2000 was a fateful year, when, enticed by favorable lease terms on a 20-acre site and other inducements, the then 68-year-old Festival of Arts considered moving to San Clemente. 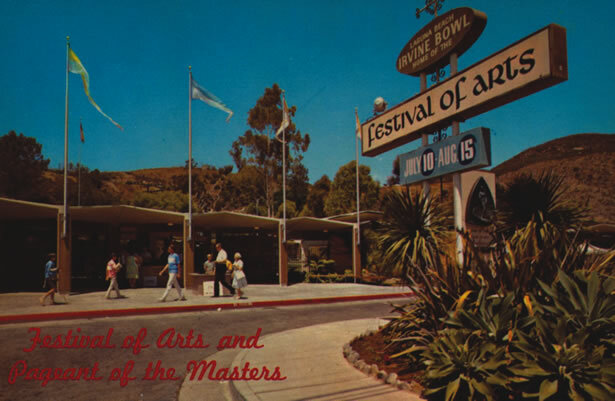 He also reveals how missteps such as licensing the Pageant of the Masters to outside venues and making the Festival of Arts a year-round event were narrowly averted (groups as geographically far away as Japan and Napa Valley expressed interest). With the Festival of Arts secured in a 40-year lease with the city and all factions at peace, Scott also emphasizes how the Festival of Arts has a trust of roughly $3 million, the interest/income of which has provided $2 million to local nonprofit arts organizations and $2.6 million to nurture future generations of artists by giving scholarships (art, music, dance, literature and hybrid art forms) to Laguna Beach High School students. In addition, the Festival of Arts’ Artists Fund, along with the Artist Benevolent Fund administered by the Sawdust Art Festival, assists artists during medical emergencies and helps keeps them afloat during unforeseen hardships. 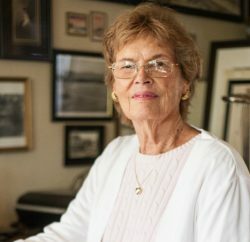 Exhibitors at the Festival of Arts are juried in via a process designed to limit the number of entrants and to give everyone a fair shake, even if some don’t necessarily perceive the process as fair, says collection curator and festival artist Pat Sparkuhl, having been a former juror. Typically there are 140 artists per season. A rotating group of four insiders (meaning established exhibitors) and three outsiders or vice-versa chooses among established artists and new talent. Artists enter the Sawdust Art Festival via a lottery that not only determines who is in but also who gets the choice spots to build a booth. Once they’ve made it in, Art-A-Fair artists pick their booths by size and price. Getting in is similar to the FoA and the Sawdust. Every February, Art-A-Fair has “Jury Day,” where artists can submit works before a jury consisting of artists already in the show and two outsiders to keep things fair, says Art-A-Fair president Michael Cahill. A photographer, Michael is a regular Art-A-Fair exhibitor. A minimum numerical score of 35 points will get someone in. What also influences the numbers of newcomers is how full the show already is. 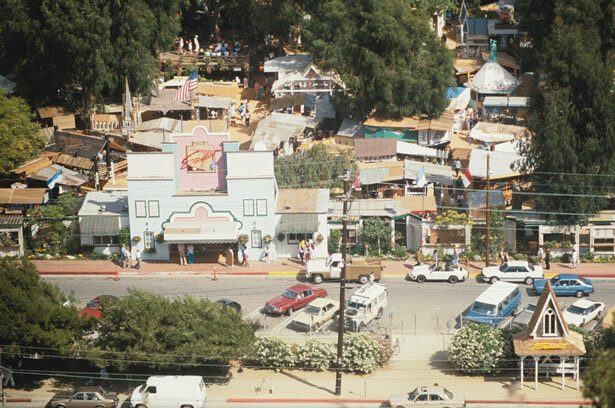 Moore got suspended from the Festival of Arts for a year in 1989 after he joined Jorg Dubin and four unnamed others in staging performance art involving an assemblage type memorial (along with unsanctioned food and libations) titled the First Annual Elvis Presley Memorial Barbecue. “Five months later I got a letter informing me that I was out—for life,” Jorg remembers. 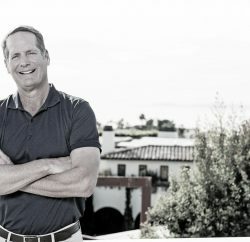 Ironically, he was honored as “Artist of the Year” during this year’s Laguna Beach Alliance for the Arts’ Art Stars award ceremony, which caused some to suggest that what Jorg calls “an excommunication” should be rescinded. But then, Jorg was among people who had nothing against a little friendly mischief. For example: It was a hallowed tradition that the Ballet Pacifica (disbanded in 2007) performed on Sundays at the festival grounds. Around 1986, as recalled by the Festival of Arts’ sales manager Dan Dutton, Jorg and cohorts mixed up margaritas, donned tutus and joined in the performance. While the above fall into the rubric of “all in good fun,” there have been some serious artist versus festival conflicts centered on freedom of speech issues. It was 1979 and, with the spirit of the ’60s still alive in Laguna, artists took their roles as social arbitrators/commentators seriously. Thus, Jennifer McLemore-Orellana, who was working with rocks to protest use of nuclear power (Three Mile Island), Valerie Bechtol, a weaver whose work protested the deteriorating rights of women in Iran, and A.S. Ashley, a watercolorist who created a series paintings that were deemed “too punk rock,” got into an ideological tussle with Festival of Arts’ board members. The powers that be demanded that they remove their work and whitewash their booths, which they refused. Jennifer, afraid that her Three Mile Island installation might be removed if she left for the evening, chained herself to her booth for two-and-a-half days. The ACLU eventually issued a permanent injunction that allowed the works to remain. The flap ended with Jennifer unchaining herself, Valerie giving up nightly vigils over her woven burkha, and Ashley keeping his “punk rock” pieces up. At festival’s end, Jennifer was juried out after practically having grown up in the Festival of Arts (she was juried in right after high school, and her mother was a pageant volunteer). 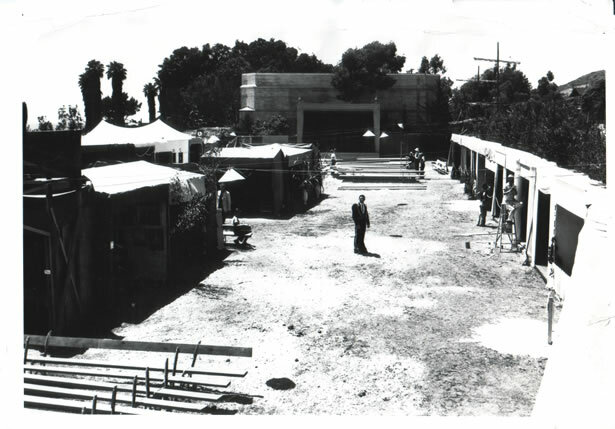 In 1965, artists looking for something different split off to form the Sawdust Art Festival. Today, the Bavarian facade recalls early days when they built their booths guided by imagination and materials at hand. 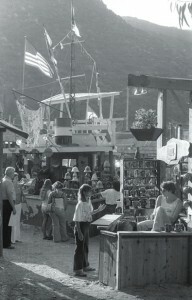 “Booths were creative; some looked like spaceships or cottages out of fairytales, and we held contests for best ones,” says David Nelson, a jeweler looking forward to his 43rd summer at the Sawdust Art Festival, after he landed a local exhibiting spot known as “Nelson’s Grove,” a bucolic location in the back of the festival grounds named after him. During many years at Art-A-Fair, Dennis filled several roles besides being an exhibitor, considering that participating artists must help out with running security, running the sales booth and keeping the grounds tidy. He caused a ruckus when he allowed a bus filled with raucous, overexcited seniors to take over the tiny artist parking lot after the driver had unsuccessfully cast about for a space big enough for the behemoth. “They were like kids on a field trip, swarming every booth, but that bus driver finally got a parking space and some rest,” Dennis recalls. “Everybody was pretty laid-back, more intent on making sales than anything else,” he says. However, Michael recalls that some Art-A-Fair newbies had a bit of trouble understanding the rules and allotment of booths. (Here, booths are not assigned by lottery but picked by artists who pay for them for according to size.) To that end, he says, first-timers are assigned a buddy mentor to guide them through the maze. Michael explains how every June the grounds change over from a Tivoli Too (a restaurant and wedding venue) to fair mode, which involves building 125 artists booths. Made of unpainted drywall, they look all the same—a bewildering maze from which artists have to choose their own. He recalls how a few years ago, an eager newbie diligently primed and painted “her” booth and was elated at the outcome until she was told that she had prepped someone else’s. During its 80-year history, the Festival of Arts has amassed a growing art collection that now contains roughly 500 pieces of painting, sculpture, prints, photographs, ceramics, furniture and jewelry, overseen now by collection curator and festival artist Pat Sparkuhl. Festival history buffs may recall that Virginia Wooley’s “Flower Stalls” was sold in 1932, the year when the first festival sprang up as a remedy to Great Depression doldrums. It now anchors a treasure trove that also contains the festival’s photography archives—55 boxes (750,000 images) in all—donated by Laguna Beach photographer Rick Lang and his family. Hours: Monday – Friday, 10 a.m – 11:30 p.m. (July 1 – 4, 10 a.m – 6 p.m.). Admission: general, $7 (Saturdays – Sundays, $10); students/seniors, $4 (Saturdays – Sunday, $6); under 12, military personnel and Laguna Beach residents, free. Hours: 10 a.m. – 10 p.m. daily. Admission: adults, $7.75; seniors, $6.25; children (6 -12), $3.25; 5 and under free; season pass, $15; annual pass, $20; Laguna Beach residents, free. Hours: Sunday – Thursday, 10 a.m – 4 p.m.; Friday and Saturday, 10 a.m – 10 p.m. Admission: season/day pass, $7; students/seniors, $4; groups of 20 or more, $4/person. 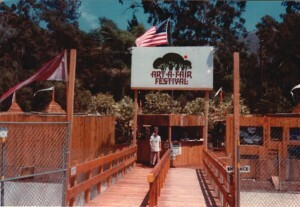 Any photo’s of 1979 Festival of arts? The year a few artist were asked to leave because of political art? One artist chained herself to her booth to hold out for freedom of speech. The courts gave her freedom to show.